Heliotropism is the directional growth of a plant towards sunlight. These leaves are growing up toward the sun! 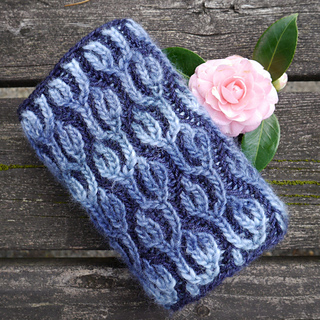 This cowl is knit in the round from the bottom up, and features a simple brioche pattern. 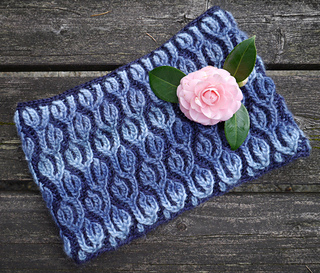 It’s a great next step after learning two color brioche rib in the round. Too much variety? Heliotrope is also available in an e-book with a Heliotrope hat. Knitter’s choice!